Imperial Tea is the latest addition to the Asian Tales collection from niche line By Kilian. It is being launched along with Sacred Wood, and the duo made me sit up and take notice: I'm not always a huge fan of the By Kilian line, and the earlier scents in the Asian Tales series — Bamboo Harmony, Water Calligraphy and Flower of Immortality — pretty much left me cold, but jasmine tea and Mysore sandalwood? Theoretically, at least, I'm in. I'll talk about Sacred Wood later (possibly on Thursday); today's focus is the Imperial Tea, inspired by the Asian tale of "The Big Red Toga Tea" (you can read versions here and here), and promising "the olfactory impression of authentic Jasmin tea".1 Jasmine tea is one of my favorite smells in the world. I drink a cup of Yin Hao jasmine nearly every morning, and while there are fancier (and more expensive) versions of jasmine tea, few of them can beat a really top quality Yin Hao. The smell from a freshly opened pouch or tin is exquisite, and the taste is about as close to a drinkable perfume as you are likely to get. The Imperial Tea fragrance was developed by perfumer Calice Becker, and it's darned close to perfection. Bright and intensely fresh at first, it settles into a beautiful blend of green tea and jasmine. The jasmine is close to that in Kilian's Love and Tears, rendered here just a tad cleaner, so that it has a satisfying depth but is neither rich nor indolic, and again as in Love and Tears, it's clearly blended with other floral notes. The tea note verges on photorealistic — it's not quite as tangy or aromatic2 as real jasmine tea leaves, but it's reasonably close to what was promised, especially in the early stages: "the note that you inhale from a freshly brewed cup of tea".3 The base is a clean, clean, clean blend of pale white musk + light wood notes. Imperial Tea feels summery, and slightly less feminine than Love and Tears. Verdict: Imperial Tea is tantalizingly close, but in the end, no cigar. To my (admittedly finicky) nose, it is too synthetically fresh in the top notes (the opening blast is uncomfortably close to an air freshening product) and too clean in the dry down (not quite dryer sheet, but close). It's pretty and I enjoyed wearing it, but the more I wore it, the more the clean 'n fresh aura at both ends of the scent's development bothered me, especially in the far dry down, when the jasmine and tea begin to fade. If they'd toned down the clean a notch, though, it would be a must buy, and it's a shame Kilian never does flankers — I'd buy the unclean version of Imperial Tea in a heartbeat. And if you've never found a perfect jasmine tea fragrance, Imperial Tea is very much worth sampling. You can find a more glowing review at The Black Narcissus. Other possibilities for jasmine tea include L'Artisan Parfumeur Thé Pour Un Été (sheer and summery, and also clean, but less overtly so, and lighter on the jasmine than Imperial Tea) and Jo Malone White Jasmine & Mint (even less jasmine, and pretty clean as well). Fragonard launched Jasmin - Perle de Thé last year, but I have not smelled it. If you know of others, do comment! By Kilian Imperial Tea features notes of jasmine tea, jasmin sambac, tea accord and white musk. It will be available in April, in 50 ml Eau de Parfum ($235 with fancy box, $135 for refill) or in a 30 ml refillable travel spray ($145). 1. Quote via press materials. 2. To my nose, nothing quite captures the real tang of dried tea leaves like Hermès Osmanthe Yunnan. 3. Again, via press materials. Note: top image of Jasmine Yin Hao Green Tea via Rishi Tea. Oh, I long for a dirtier jasmine tea fragrance as well. Thanks for the review, Robin. I don’t even require that the jasmine itself be dirtier…the jasmine in jasmine tea isn’t really “dirty” anyway. But just wrap it all in fewer synthetic clean notes! I tried a sample of the Fragonard one you mentioned. I would say it qualifies as “clean” too. It was likable enough and would probably be pleasant and refreshing on a hot summer day. I would say that it has less complexity than Thé Pour un Été, but Fragonard is also much more affordable than By Kilian and L’Artisan (I checked Fragonard’s website, and you can get the 50 ml edp for $50). So if someone is looking for a basic jasmine tea scent that they could spray more liberally and repurchase as needed, Jasmin – Perle de Thé might be a good one to try. Thanks so much! I love the packaging on that one too. It’s not that I don’t like a good handful of the scents (probably Sweet Redemption the most), but Kilian has gotten to the point where the brand bores me, and I’m tired of what to me seem like lame “exclusive” concepts like “Apple Brandy” and “Vodka on the Rocks” (for the record, Le Labo’s exclusive annoy me as well, but often, the quality at least seems better than BK’s, at least to me). I kind of liked Flower of Immortality, but another green tea in the same series already? Okay. Bamboo Harmony basically reminded me of Dior Escale de Pondichery, which I liked better not least of all because it’s comparitively dirt cheap, but also is good quality. When or if these new “Asian Tales” cross my path, I’ll be happy to try them. Incidentally, I have a tiny bottle of an old, now discontinued Liz Zorn scent called “Yin Hao,” and I think that one is fantastic, and a great rendition of jasmine tea. I’ll finish by saying something nice about Kilian: the packaging is superb even though I don’t have a need for the full blingy bottles. I also like that they do travel size refills, and the travel atomizers/cases are handsome as well. I would say I like a handful too. And would agree w/ the comparison to Le Labo. Interesting about Liz Zorn — I really liked her Soivohle Jasmine Summer but don’t think I smelled the Yin Hao. That Zorn scent sounds worth checking out. I admittedly love Love and Tears and am quite fond of Bamboo Harmony, the last time I tried it anyway. The Dior I found boring. But ya, lately, the line has been turning me off with silly concepts..though still keeps my nose curious on what they could smell like. Sometimes a name will completely turn me off from a scent though…i.e., I don’t ever plan to sniff Good Girl Gone Bad..it just annoys me so much that I don’t even care. Susanne Lang used to have a decent tea scent. It’s not listed on Fragrantica, so it must be discontinued. Evidently I tired of it, because it’s no longer in my collection. 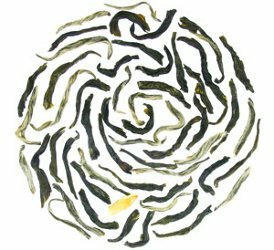 Have you tried Republic of Tea’s Asian Jasmine white tea? Really good, and I wonder if the brand you mention is even better. Pretty sure the only thing left from Susanne Lang is the younger/cheaper Sula brand, and not even positive they’re still doing those. I have not! I rarely drink white tea, so couldn’t compare. I usually order Yin Hao (which is really a pouchong, not a green, but they’re pretty close) from Upton or Harney. The harvests vary & sometimes I like one over the other, but both brands have good buyers, and that’s really all that matters…all of these brands are buying from the same harvests in the same general locations, some are just better at securing the top notch teas. As for the point of the post, I like the idea of green tea and jasmine, I’m sure I’ll get to smell it, but Killian is getting too spread out. By “too spread out”, you mean too much product? Yes. I wear and love Back to Black and always like to smell the new stuff. But there’s now too many options and he just seems to be cranking them out. Not as bad as Bond #9, I don’t think any niche company can beat that one, but maybe slow down, expand your market a little. They start to blend together after a while and at that price point you’d think he’d want more focus. Gotcha. I think it is 26 fragrances since 2008 — so yeah, not as many as Bond no. 9, but a lot. I loved the initial BK Calice Beckers from the L’Oeuvre Noire through Pure Oud and Rose Oud but have not fallen for one since. However, I almost wanted Love and Tears, so I’ll give this one a try. Have you tried the Guerlain citrus tea scent, Tokyo? I think I read about it on The Black Narcissus, too, although I’m not certain. It sounds ideal for summer. Ack, I can’t remember…I know I did not like any of the others in that city series from Guerlain. But citrus tea is not so hard to find as jasmine tea! Doubt I would pay exclusive prices for it. Bvlgari Pour Femme is also an Exquisite Jasmine Tea fragrance and was conceived around that note specifically and has always been in my top 50 fragrances of all time! A great scent and underappreciated! But it doesn’t really read as a jasmine tea to me. Me either. Great scent though. I’m really enjoying Ineke’s Chemical Bonding, which opens with black tea and citrus (followed by peony and then vetiver/amber/musk). These days I reach for that or Osmanthus Yunnan when I want a cuppa. Drinking black tea hurts my stomach, so smelling it is the best I can do! The Ineke is a bargain compared to the OY, too! Sorry this wasn’t great for you Robin, I know you were looking forward to this one. I still want to try it though! You were quick to get a sample, good job!